Tom Tseki takes us through the traditional models of providing multilingual support in the contact centre and the new best practices. 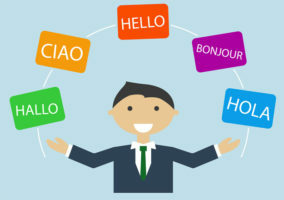 Communicating across languages and channels adds significant value to enterprise service desks and IT help desks. The first of this three-part blog series detailed new research from HDI and Lionbridge outlining the need for multilingual support and how it’s currently being provided. What we found is that service desks and IT helpdesks often follow one of four traditional language solutions. Naturally, each has pros and cons. The majority of service desks typically support one primary language. When the need for other languages arises, they attempt to find multilingual staff (often from other departments) to help. Nearly 55% of HDI and Lionbridge study respondents said that this was their standard approach to multilingual support. While it may occasionally work, this ad hoc solution isn’t scalable or sustainable – especially to provide timely responses across languages on a regular basis. Over-the-phone interpretation is an effective way to provide multilingual support for stakeholders. According to the HDI and Lionbridge research, 13% of service desks currently use this method. Yet the challenge is that employees, partners and customers increasingly prefer digital channels like email, IM and chat. OPI as a stand-alone language strategy negates channel preference and the benefits of omnichannel communications. If resources and budgets were unlimited, service desks would staff across languages. This is difficult – we see this in the HDI and Lionbridge research, where 42% of respondents said that finding and retaining in-house multilingual staff was their biggest challenge. Not only are these resources harder and more expensive to hire and keep but absences can cause unexpected disruptions to service and support. Larger organisations are able to provide in-country or in-region service desks. This is a great solution to access language talent and to get closer to stakeholders. However, it brings with it the same hiring and staffing challenges as well as the added cost and complexities of managing global helpdesk staff. 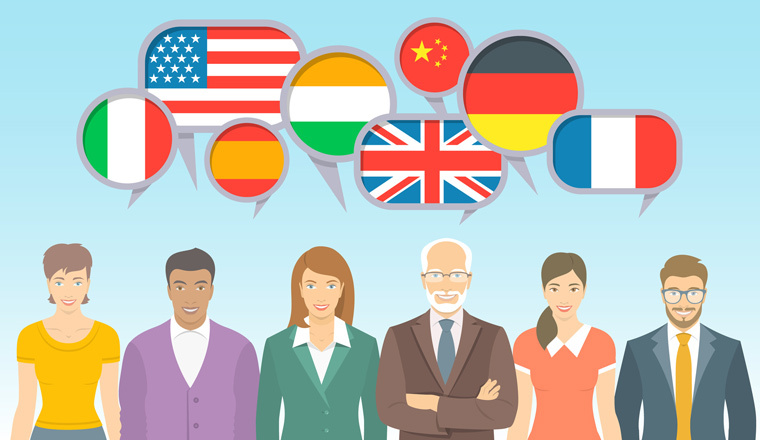 In our experience (through supporting GeoFluent service desk customers around the globe) we see commonalities in how best-in-class companies support languages. 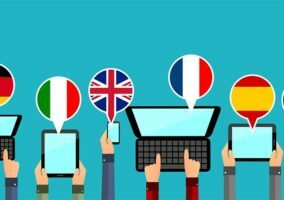 A recent study from Aberdeen Group found that 21% of businesses use real-time translation technology to enable multilingual communications (with another 20% planning to adopt it within 12 months). By leveraging real-time translation technology, service desks can streamline communications and reduce the high costs associated with hiring bilingual staff. Best-in-class service desks and IT helpdesks apply the most appropriate solution per language. For example, it might make sense to hire bilingual staff for the most popular language (often Spanish) and use an over-the-phone interpretation service for less frequently requested languages. By looking at volume by language, service desks can identify the most appropriate solution to provide the best experiences at the desired cost per case. Service desks aren’t alone with their language challenges and the most progressive organisations take an enterprise-wide approach. By building a centralised linguistic knowledge base, consisting of brand guidelines and language terminology across different channels, organisations can leverage this information to address language challenges in all parts of the enterprise. This benefits not just the service desk and IT helpdesk but other functions as well, including marketing, employee communications and customer service. Leveraging these technologies allows service desks and IT helpdesks to support languages that aren’t staffed for, provide broader service coverage and support geographic expansion without hiring language talent. Furthermore, AI-based real-time translation can add support to existing self-service and agent-assisted digital communications platforms like chat, email and ticketing. As a result, enterprises can cost effectively eliminate language barriers and reduce inbound calls, all while providing better experiences.